The village of Padmakesharpur in the state of Orissa in East India is probably the largest community of snake charmers anywhere in the world. 200 charmers live in the village, but each year they find it harder to make a living from charming and their numbers are slowly diminshing. 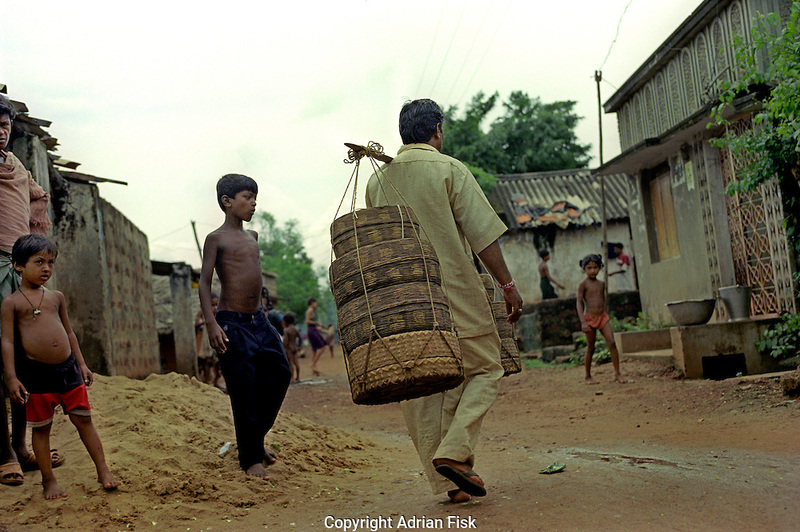 Having been out charming for several weeks a charmer returns to the village carrying his snakes in the baskets.